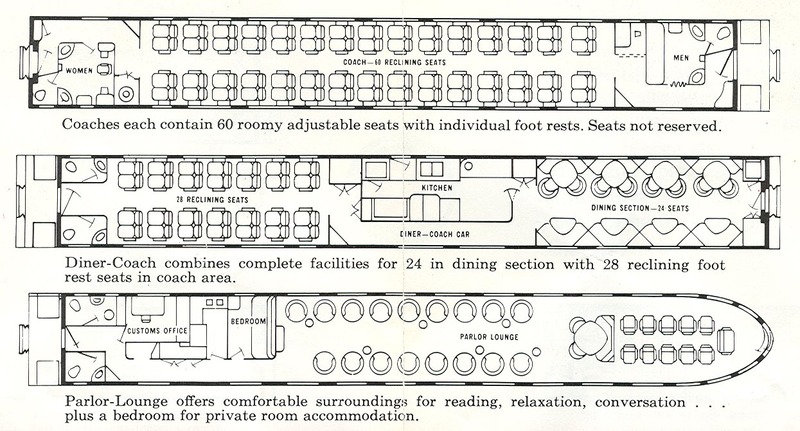 This is a January 1959 brochure describing the accommodations onboard Great Northern passenger trains through the use of line diagrams. The trains featured are the Empire Builder, Western Star, Winnipeg Limited, Internationals and The Red River. WARNING: These are large .jpg files and may take a while to download (especially if you're on a dial-up connection). Click on the thumbnailed picture to view the page of your choice. Below each page is a brief description. Greatest of all Great Northern's great trains, the incomparable Empire Builder is the ultimate in superb transcontinental rail travel. A fleet of five identical diesel-powered, dome-studded streamliners travels daily in both directions between Chicago, St. Paul, Minneapolis, Spokane and Seattle-Portland through America's most scenic regions - Cascade Range, Columbia River, Glacier National Park in the Montana Rockies, Minnesota's lake country, the Mississippi Palisades. 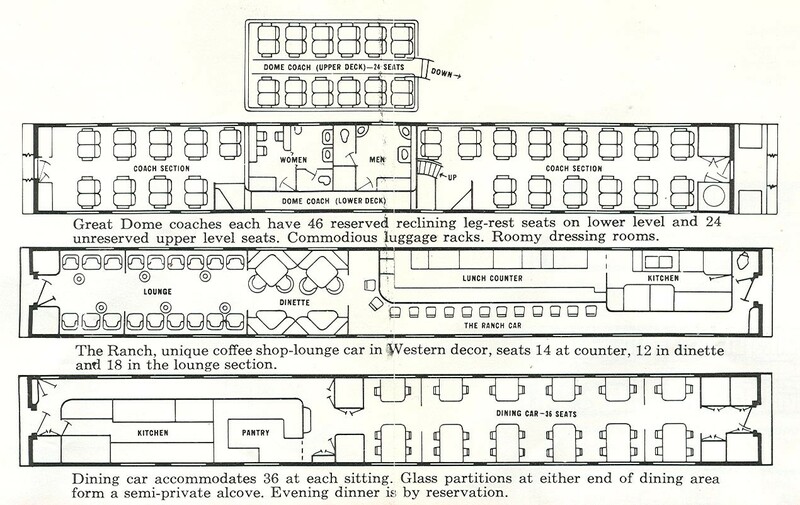 In addition to the finest coach and Pullman accommodations, the beautifully appointed Empire Builder provides dome seats for all passengers for a close-up, eye-level view of scenic America. Famed for luxury and comfort the incomparable Empire Builder is equally famous for its food and beverage service. In the Empire Builder tradition of superb transcontinental service, its sister train, the swift, sleek Western Star, offers virtually the same accommodations while serving more cities on Great Northern's scenic route. A fleet of six fast, powerful trains is in daily service between Chicago and Seattle-Portland via St. Paul, Minneapolis, St. Cloud, Fargo, Grand Forks, Havre, Great Falls, Shelby and Spokane. 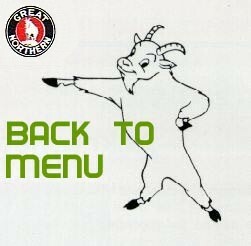 Fine food and beverages are also in the great tradition of Great Northern. 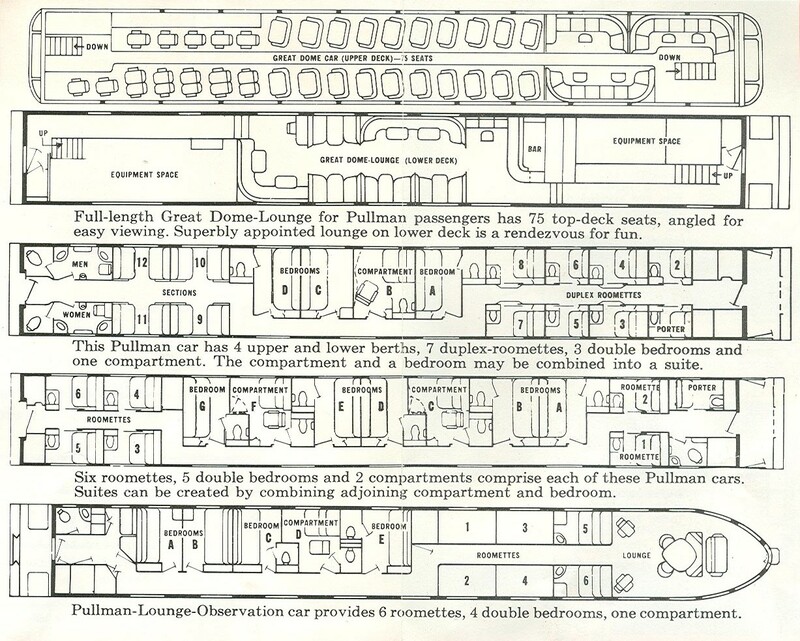 In fast, overnight service between St. Paul, Minneapolis and Winnipeg, the Winnipeg Limited provides a variety of fine Pullman sleeping car accommodations for real comfort and relaxation in addition to the distinctive Lounge-Buffet-Sleeping Car. Wide reclining leg-rest seats in roomy Day-Nite coaches are also available. Excellent breakfast and snack service, your favorite beverages...convenient evening departures in both directions all add to make your trip on the Winnipeg Limited a great one. Customs and immigration inspections enroute. 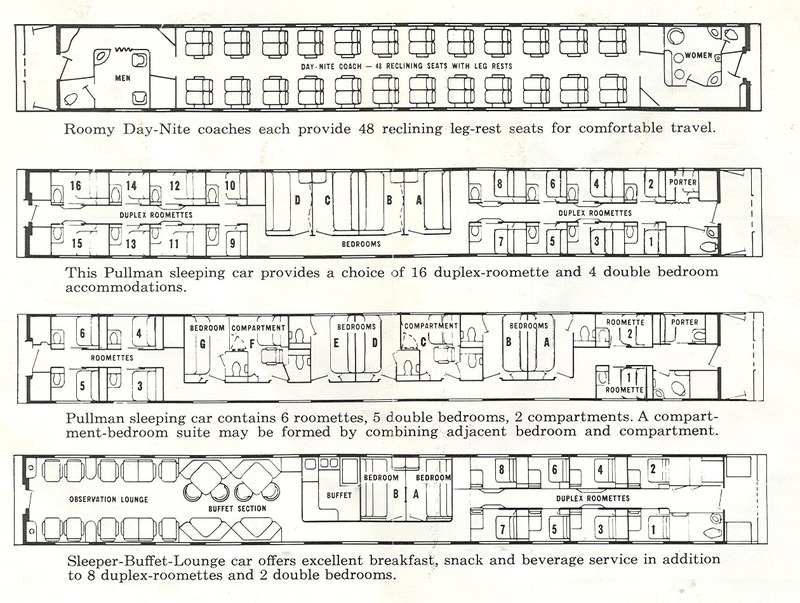 Streamlined Internationals, depart daily - morning, afternoon and evening, both ways between Seattle, Wash., and Vancouver, B.C. 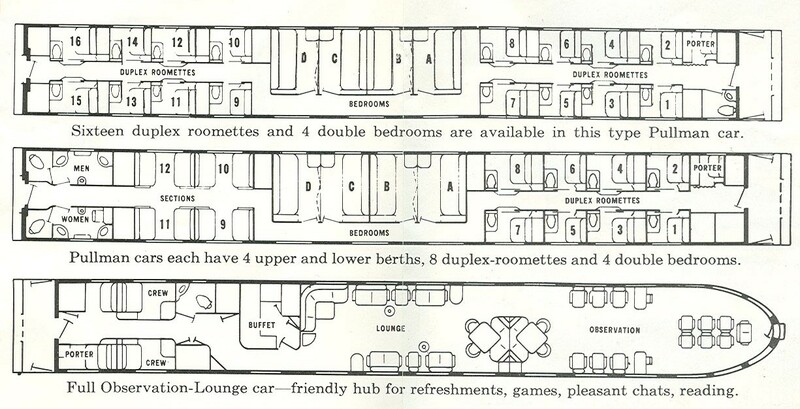 Modern, luxurious coaches and parlor car combine with picturesque scenes to make your trip aboard the Internationals a memorable one. For your convenience, customs and immigration inspections are made enroute...speeding your trip across the border. Full dining service. The Red River offers fast, daily, round-trip service between Grand Forks, Fargo, Minneapolis and St. Paul. Comfortable, streamlined and fully air-conditioned cars assure you a carefree, car-free trip through the heart of Minnesota's lake county. Dependable, on-time departures and arrivals - whatever the weather - keynote this fine Great Northern streamliner.